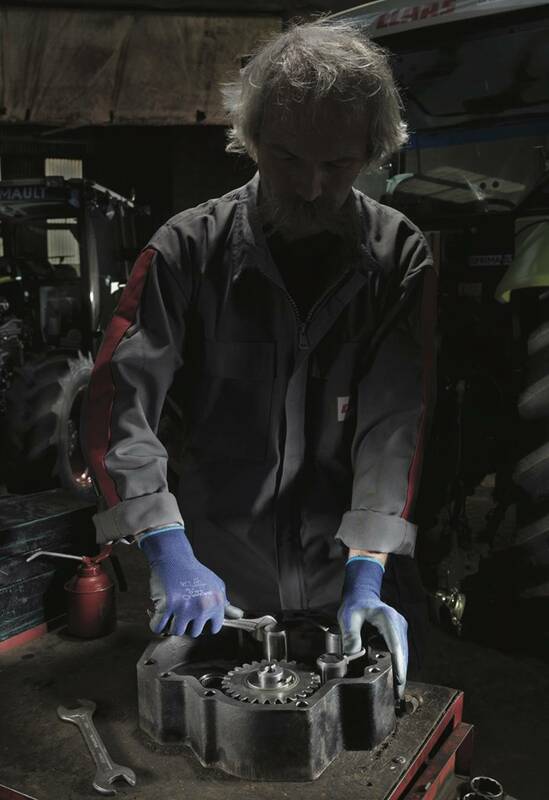 Showa Atlas Ventulus 380 gloves provide a superior grip in wet or dry work environments. 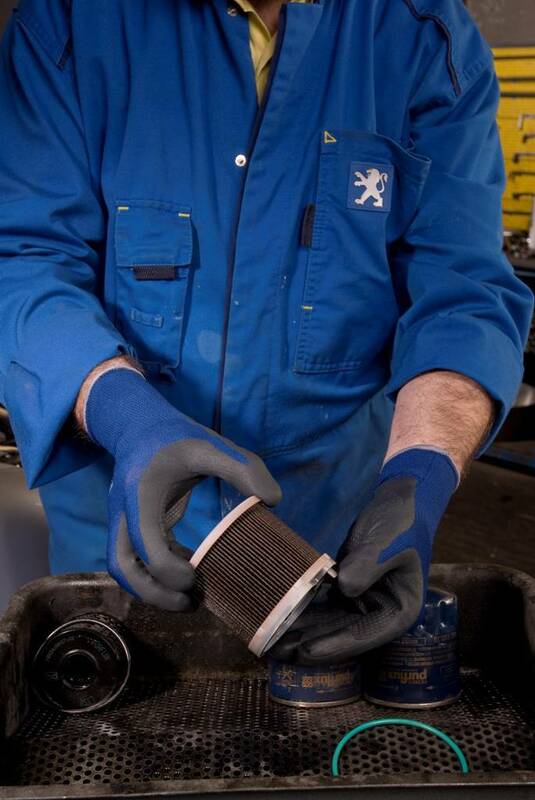 Use them for applications such as sanding, machining, construction, assembly or when handling slippery or oily objects. Although it’s thin and flexible, the glove is tough enough to withstand heavy use in the most challenging conditions. Atlas Ventulus gloves feature a breathable nitrile waffle-embossed foam coating that offers the strongest grip of any Showa-Best glove. The seamless nylon liner keeps hands comfortable and enables maximum freedom of movement for high-precision work tasks. The elastic cuff opening holds the glove securely on the wrist, which maintains the ideal fit even during rigorous activities and keeps out dirt and debris. 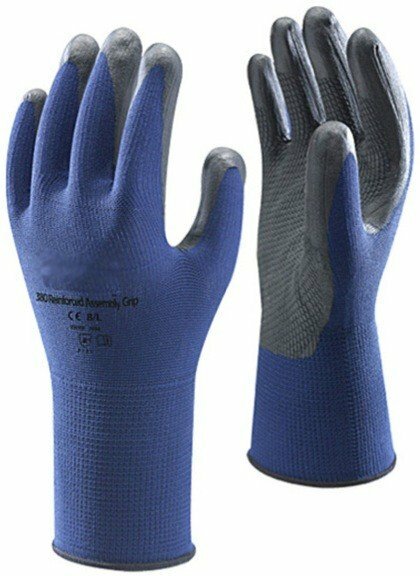 These high-quality blue work gloves come in small, medium, large and extra-large to contour to just about every hand size. Your workers will experience the precise fit they need to stay comfortable and productive throughout a long day on the job. 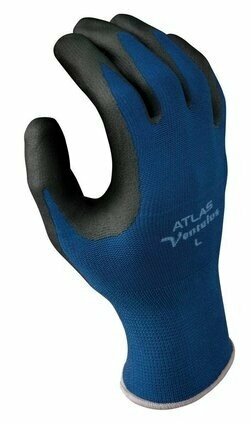 PalmFlex can help you save money on Atlas Ventulus 380 gloves. Order yours in bulk and take advantage of our cost-cutting volume discounts – the more you buy, the lower your unit cost. We’ll also include free shipping within the continental U.S. for all orders over $80. Our 30-day return policy makes purchasing gloves online a worry-free process. Place your order today, and don’t hesitate to contact us if you need assistance.